We continue to receive complaints about failure to stop at stop signs and speeding in the neighborhood. The Dunwoody Police Department will continue to strictly enforce our speed limit and stop signs. So, please be aware .... SLOW DOWN and OBEY THE STOP! Road Safety - Did You Know? By GA law, parked cars are prohibited within 30 ft of a stop sign or 15 ft of a fire hydrant. If a car is parked on the right side of the street, your car does not have the right of way. The approaching car on the left side of the street has the right of way. So please be sure to slow down and heed the right of way when you approach a parked car on the streets of Oxford Chase. When walking or jogging on a road without sidewalks, you should be on the left side. This is the safest method because you are facing traffic and can take evasive action if necessary. When riding a bike, you should follow the flow of traffic and therefore ride on the right side. 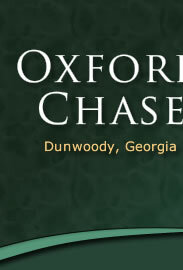 Oxford Chase has always been a safe neighborhood because of the diligence of our neighbors. Please remember, if your car is parked on your driveway or on the street - LOCK your vehicle, TAKE all valuables out of your car, and HIDE anything else from view. We also encourage neighbors to keep their exterior lighting on at dark. As always, if you see any suspicious activity, please call 911 to report it. Our covenants state "TRASH AND GARBAGE CONTAINERS SHALL NOT BE PERMITTED TO REMAIN IN PUBLIC VIEW EXCEPT ON DAYS OF TRASH COLLECTION." Please be sure you trash receptacles are hidden from street and neighbor view (in your garage, behind your fence, or behind a bush). For more information on this covenant and recommended solutions, please see the "survey & results" section on the left.